Two weeks ago we bought a kumara for $1 from the vegetable shop and put it in a pot of damp wood shavings. The pot has been in the kitchen where it is nice and warm. Today we can see the first little shoots! On a sunny day the pot sits outside, but comes inside every night. The shoots will grow bigger. In October we cut them and plant the new plants in the garden. Peas: Spring is a good time to sow peas. Peas are a vegetable that is high in protein. Pea plants are good for the garden because their roots put nitrogen into the soil. There are several different kinds of peas. Green peas (usually sold frozen at the supermarket) are eaten as soon as possible after harvesting for sweetness. The peas are ‘shelled’ - you take them out of the pod, and eat the green seeds. Asparagus peas - have red flowers & frilly pods and tastes a bit like asparagus. 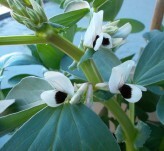 Snow peas - sometimes also called mange tout (French for 'eat all') in NZ, eaten while still flat/immature. Sugar snap peas - look like green peas. Eat whole pod once the peas are fat. Companion plants: Grow calendula, alyssum, phacelia, buckwheat in your garden. Their flowers feed the good insects which eat aphids and caterpillars. 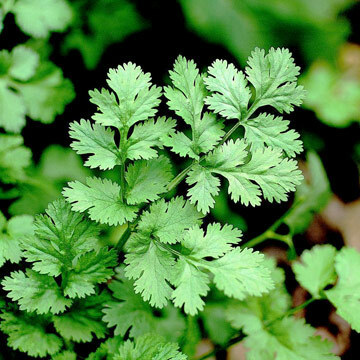 Coriander is an edible companion plant. Hoverfllies and predator wasps love coriander flowers! buy seed potatoes (sold at e.g Plant Place, Bunnings, Farmlands, the Warehouse) and put them in a tray to sprout. Sow direct into the soil: rocket, beetroot, spring onion, lettuce, carrots, pak choi, parsley, silverbeet, radishes, mustard lettuce, chives, spinach, won bok and peas. If you prefer buying plants; have a look at http://www.awapuni.co.nz/category/Vegetables or Oakdale Organics plants available from Palmers, Lincoln st, Hamilton. Weed your garlic and feed it with compost or liquid manure once a week. There are 12 different kinds of food plants growing in this plot, and space for more! 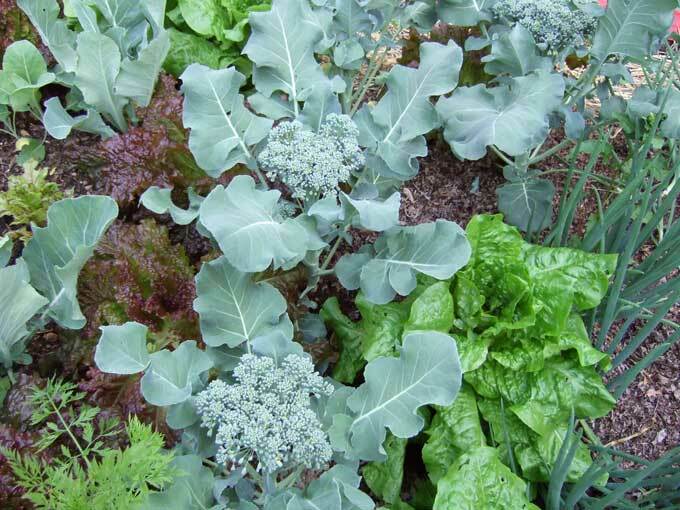 When vegetables grow close together (like in the photo below) - there is no room for weeds. Vegetables growing close together also protect the soil from drying out. Gardening Courses in Hamilton: In October and November,The Hamilton Permaculture Trust is offering short courses on organic gardening, bee keeping and espalier pruning. Look at their website for more information. This is Stephanie's recipe for delicious taro balls. 3. Drain excess water and mash with fork until majority of the taro is smooth. 4.Then add butter and sugar mix well. 5 make into balls and roll balls in sesame seeds. Delicious! Do you have questions about gardening? Please email wicgarden@gmail.com with your questions and suggestions for the October WIC Update.